Today was Emily’s first birthday! 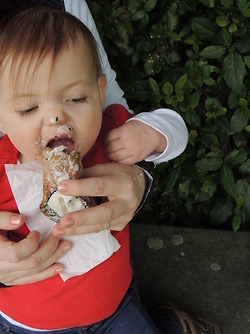 To celebrate, we let her munch on a cannoli in the Boboli Gardens. Joe and I of course had some cannoli as well. It was a wonderful indulgence! It was creamy and crunchy, but not overly sweet. 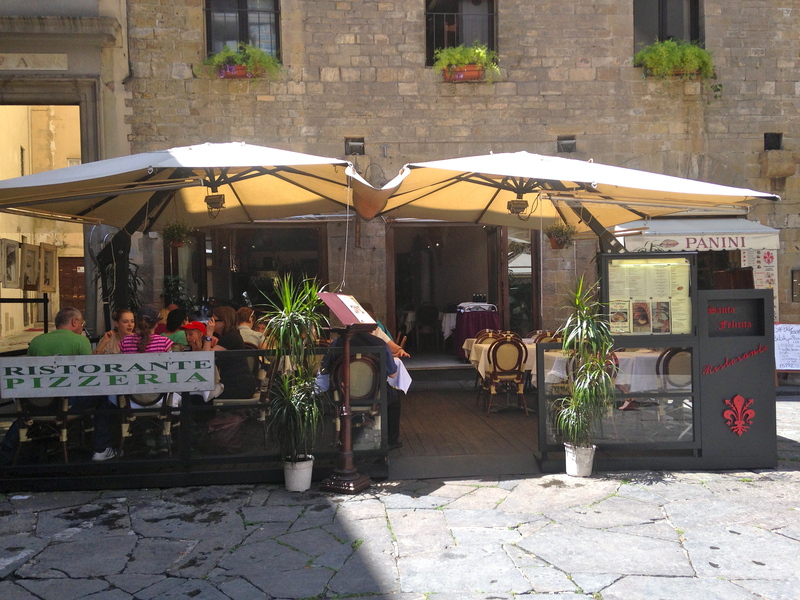 In the late afternoon we went out to dinner at another restaurant just down the street from our apartment, Ristorante Santa Felicita. 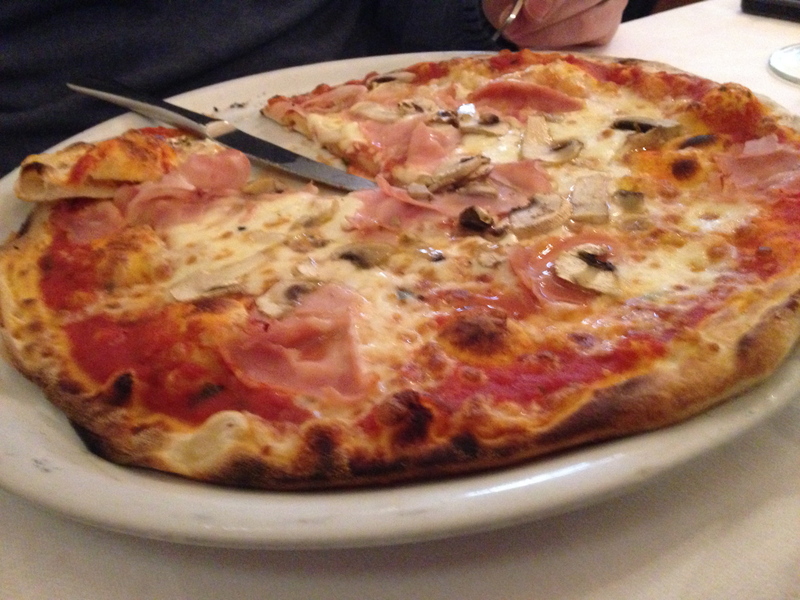 We were sure to order something with mushrooms, so we had a pizza al prosciutto cotto e funghi (pizza with ham and mushrooms). This was another delicious pizza with a perfect balance of toppings to crust, but not quite as flavorful as the pizza we had on our first day in Florence. I also thought it would be a fun treat for Emily to try truffles for the first time (I’m happy to find any excuse to eat truffles). So we ordered chitarrine tartufo, which was a spaghetti-like fresh pasta in a black truffle cream sauce. I didn’t know if Emily would like truffles, but knew Joe and I would enjoy the dish if she didn’t. To my delight, Emily loved it all!